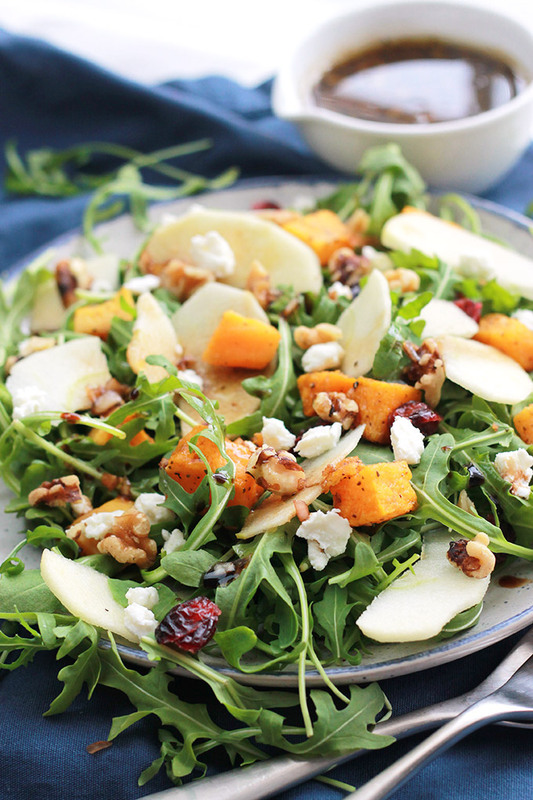 Butternut Apple Arugula Salad with a Balsamic Dressing, this salad is loaded with tender roasted butternut squash, crisp sliced apples, spicy arugula, sprinkled with dried cranberries, walnuts and creamy goat cheese. Are you ready to give this one a try? You can get the recipe over at Wendy Polisi, where I’m guest posting. Perfect for a light and easy lunch or add your choice of protein for a healthy dinner. 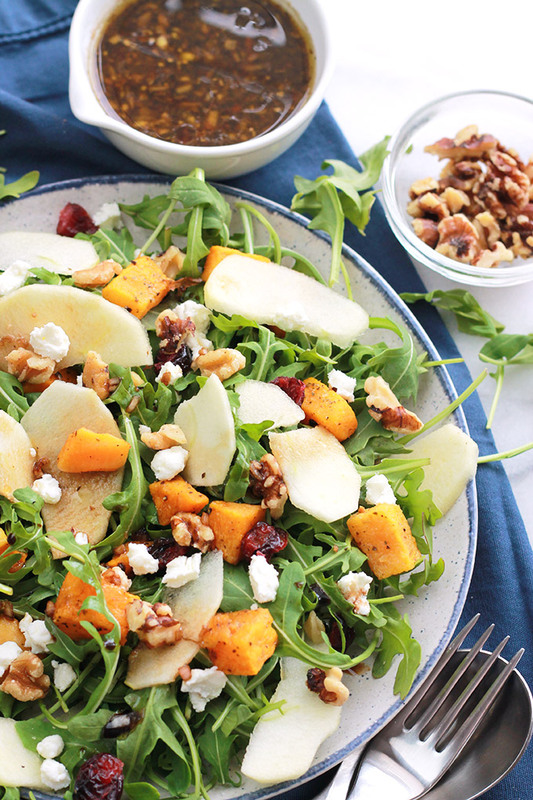 Enjoy this big beautiful salad, get the recipe HERE. Beautiful salad!! Really great combo of ingredients!! Thank you. I’m glad you like it. Enjoy!